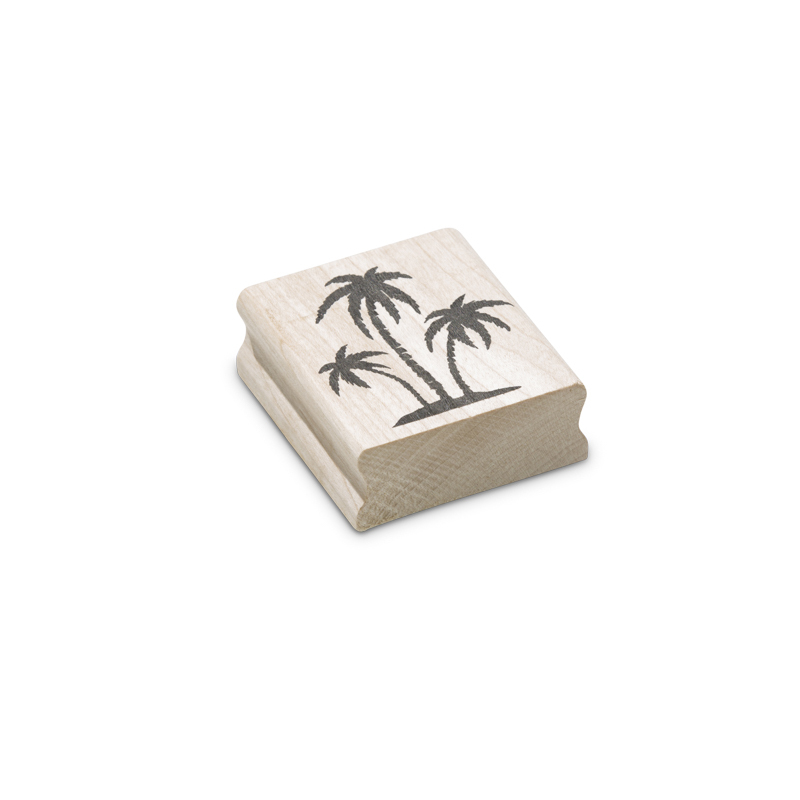 The palms wood block rubber stamp creates an excellent silhouette image for your stamping work with encaustic art. 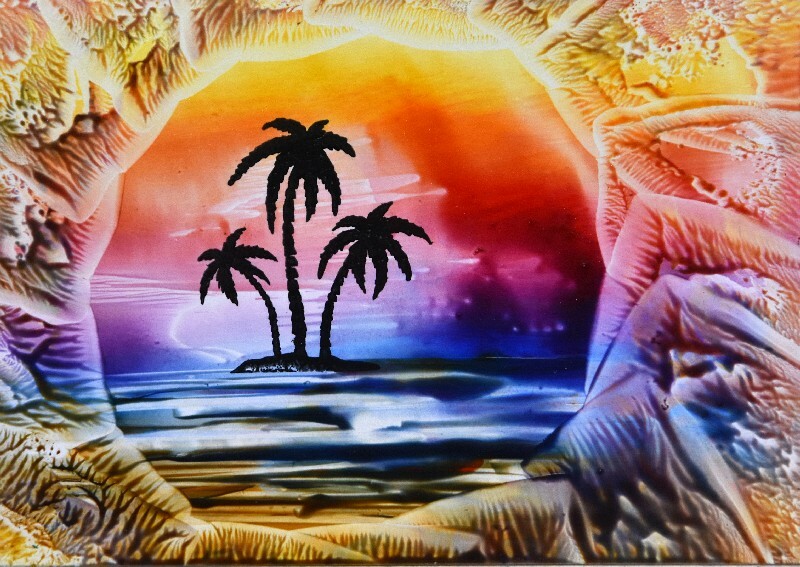 It offers groves of multiple prints or single desert island images. A good accompaniment in your seasonal Christmas scenes too.